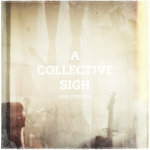 This first album is a collection of songs recorded in various homes over the years in between bits of life happening. Simple songs about love, loss, faith and happiness. Like a lazy drive through the country-side to a place where you feel at home. Jesse is a self-taught musician from Melbourne, Australia who will turn his hand to any instrument that falls his way.